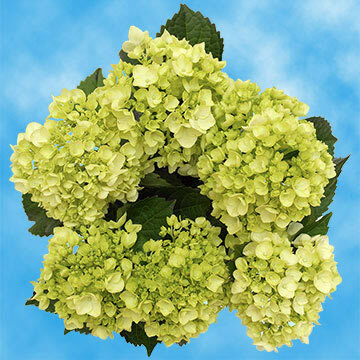 Have you ever seen green hydrangeas in full bloom? 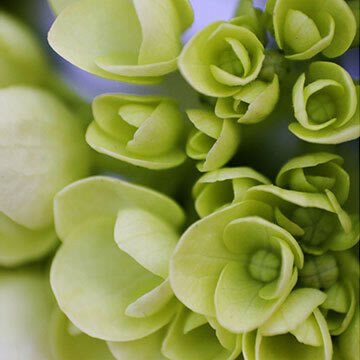 One of the most beautiful flowers available, they are used for many special occasions. Weddings become more sophisticated and elegant with the ambience this floret brings. Fashioned to add variety and flavor, their distinctive design brings centerpieces, bouquets and decorative pieces to life. You can't go wrong with this product. The crisp, youthful petals make it a first-rate choice, year-round. Globalrose specializes in offering beautiful blossoms at wholesale prices. You won't find another place that guarantees freshness from the time you receive your orders until after your event is over. We grow our products year-round in state-of-the-art greenhouses using the latest technology to give you fresh, natural petals each and every time. Need a different shade of green? Our technicians can accommodate every need you may have. At our low prices, we specialize in offering the best. 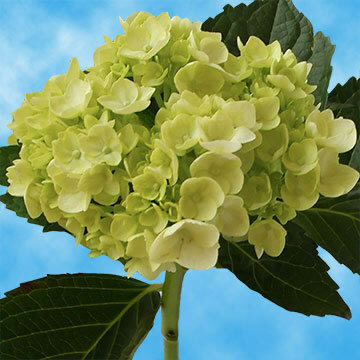 From our greenhouse to your front door, your fresh cut green hydrangeas will arrive with every petal intact. Satisfied customers are our priority, and you won't find better value at these prices anywhere. From one bunch to 100, you'll get the same effect. Beautiful, fresh flowers that will attract attention at every turn. At Globalrose, our fresh florets are guaranteed to make you smile.